• Police Services Study: Seal Beach Police Department Sgt. Michael Henderson, the department’s public information officer, confirmed on Tuesday, Jan. 22, that the SBPD has received the Police Services Study from the contractor and SBPD officials are reviewing it. 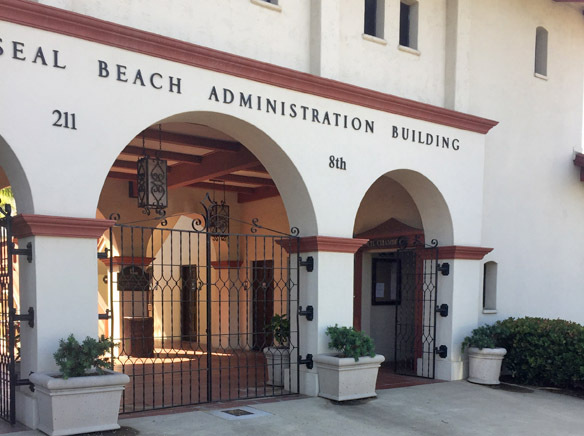 In April 2018, the City Council commissioned the Matrix Consulting Group to do a Police Services Study for Seal Beach. • SBPD filling vacancies: Seal Beach Police Sgt. Michael Henderson recently confirmed that the SBPD is filling five vacancies in the department. According to Henderson, that includes the three police officers that the City Council authorized hiring in December 2018. Voters in November 2018 approved Measure BB to add a 1 cent sales tax to local sales to help fund city services, including police officers. The tax will start on April 1, 2019. In related news, according to the Jan. 28 Seal Beach Six-Month Strategic Objectives update, the department will assign an officer or dective to Leisure World once the officers who are being hired have been hired and are off training. The same applies to the Community Oriented Police Team to be assigned to the Jack Haley substation at the foot of the Seal Beach Pier. According to the update, SBPD is on-target for assigning community policing teams to each of the five City Council districts. • Navy base: Speaking of the local Navy base, last week the Seal Beach City Council adopted the Naval Weapons Station of Seal Beach Joint Land Use Study. The council also approved the creation of a working group to implement the strategies laid out in the document. The membership and nature of the working group is not yet known. The document identified 25 issues related to the compatibility of the Navy base’s mission and the communities of Seal Beach and Long Beach. Those issues, to name just a few, included traffic impacts on access to the base, the potential use of drones to watch the Navy base, noise, dust from the base, sand erosion on the beach and affordable housing. • Questions to the city: The Sun recently emailed the following questions to Seal Beach city officials. The Sun will report the answers when they are received. • Have any permits been submitted to the city for the Bay Theatre? • What is the status of the city’s First Street restaurant building? • What is the status of the picnic tables on the beach? Has the city withdrawn its application from the California Coastal Commission or is it still before the CCC? If you have a question about a continuing issue or a suggestion for a California Public Records Act request to the city government, email Associate Editor Charles M. Kelly at editor2@sunnews.org.